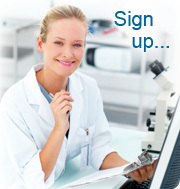 Convert your used or surplus laboratory equipment into cash with dreamscience Lab! dreamscience Lab is your first choice for selling your used or surplus laboratory equipment online! With our three buying channels we attract thousands of visitors from the scientific industry so you can be sure that your items are going to be seen by the right people. Our site is structured so you have a range of options for selling your equipment. Listed items can be easily found by using our search facility which returns results from all our channels, allowing the visitor to compare prices from our marketplace, auctions or online store. Our Marketplace is a full classified advert system that is free to use for our registered members. Adding new items is simple, just select a category, fill in a few fields, add a product description and some photos and it's ready for sale. To keep our website free from spam and irrelevant items we have a moderation process in place. Once you've submitted your advert then our team will review your listing and approve it to appear on the site usually within 24 hours. Once it's listed on our site then any interested potential buyers are able to e-mail you direct using a contact form that's automatically added to your item listing. You can also set up your user profile with your company logo and information to further add to the credibility of your listing. Full assistance is provided in our comprehensive Help Guides section. Auctions can be a great way to generate interest in your items, allowing visitors to bid against each other to get a bargain or a piece of equipment they need. Our new Auction area is fully featured and similar to other established auction websites in how it works. Features such as reserve pricing, buy it now pricing, proxy bidding, public/private auctions and contact methods between the seller and potential buyers are all available in an easy to use format. We do not allow 'auction sniping' on our website, so if a bid is placed within 5 minutes of the auction ending it is extended by a further 5 minutes to allow any other bidders a chance to improve their offer. You can find out more about how to operate and list in our auction area by visiting our Help Guides section. Our Online Store allows new products to be sold alongside our used and surplus equipment listings. We are committed to adding new product ranges and brands to our online store, so if you are a laboratory equipment manufacturer and would like further details on how to sell your new products through our website then please contact us with a description of your range and a link to your website if available. We regularly visit sites to conduct lab clearances, which may be a more suitable option for you. In these situations we assess your equipment, offer a cash value for all your laboratory related items and remove them from your site as part of the process. Of course this option may not get you as high a return as if you sold them yourself but you are assured of a quick and easy sale. We have conducted lab clearances for several major blue chip companies and universities, click here to find out more about how dreamscience Lab can help you! Why should I sell my items on dreamscience Lab? At dreamscience Lab we have invested heavily in our website and online presence to attract the largest possible number of potential buyers for our listed items. We generate our traffic through sponsored (paid) and natural (main listings) links on the major search engines, and from our extensive database of some of the most active laboratory equipment resellers and brokers across the world. Our website sitemap is automatically submitted to the major search engines daily, and listings on our site are also fed through weekly to LabX.com, one of the largest laboratory equipment resale websites worldwide. Web page 'metatags' which help visitors find our site are also automated although you can set these manually if required when adding your items. Listing your items on dreamscience Lab is sure to showcase your item(s) to the right people - people who like you have found our website and are actively interested in buying and selling used laboratory equipment online. And our website is completely FREE OF CHARGE to both buyers and sellers, so you won't find hidden costs or fees around the corner that vastly reduce the return on your items. How is this service provided for FREE? Our main source of income at dreamscience Lab is from the trade of our own lab equipment that we get from our lab clearances through our website and other methods. It is therefore in our own interest to generate as much relevant web traffic as possible so that our own items have the exposure required to attain good market prices. We felt that the best way to increase our online presence was by opening up our technology for the use of other buyers and sellers in the laboratory equipment industry, to create one place that all can use. Although we've been trading in laboratory equipment since the 1990's our first marketplace website open to public use was launched in 2005 and proved to be very successful in it's aim, so much so that we have commissioned this website with many more features to further enhance our service. This service is provided to the community completely free of charge, and dreamscience Lab have no plans now or in the future to introduce charging. We also don't intend to introduce advertisements which would just distract from our aim. This website will solely focus on the buying and selling of lab equipment, and we are committed to its running and maintainance as long as our visitors continue to use it. Join dreamscience Lab today to start converting your lab equipment into cash!